Locally established along roadsides, on shores and dunes, and in other disturbed sites. First collected in 1892 in St. Clair Co. The cultivar “Italica” (Lombardy Poplar) is widely planted, a familiar tree of distinctive columnar shape resulting from the strongly ascending habit of the branches. Only staminate plants seem to be grown in Michigan. 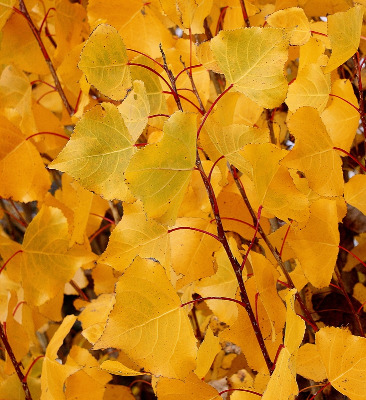 However, this poplar rapidly spreads to form colonies by root suckers, especially in sandy soils, and also from rooting of portions of the brittle branches. A hybrid with P. deltoides [P. ×canadensis Moench; Carolina poplar] is often planted; it has a few minute cilia on the leaf teeth, and has been collected as an escape in Berrien, Leelanau, Lenawee, Midland, Muskegon, and Oakland Cos.
MICHIGAN FLORA ONLINE. A. A. Reznicek, E. G. Voss, & B. S. Walters. February 2011. University of Michigan. Web. April 21, 2019. https://michiganflora.net/species.aspx?id=2616.